Sony sent out an email on October 6th to announce the “retirement” of their free-to-play mobile game, Fat Princess: Piece of Cake. The game’s online features and micro-transactions will be disabled on December 1st, 2016 (iOS, Android) and January 1st, 2017 (Vita) but so will the ability to re-download the game. It isn’t often that a game is completely removed this way but if you have it downloaded to your Vita or phone you can continue playing in offline mode until it is removed from the system. 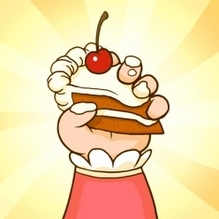 The game also allowed players who completed Level 15 to receive a download voucher for the original multiplayer PlayStation 3 title, Fat Princess. This feature will also be disabled as of the dates above. While the game has received generally positive ratings on all three platforms it has logged only 100 – 500,000 installs on Android with presumably far fewer active players. It also appears that developer, One Loop Games, has ceased operation; all founding members of the small team left in early 2015 after the game’s launch on Android and Vita. The combination of a dwindling user base and departed developer are most likely the cause for the game’s retirement. The brief statement from Sony follows.